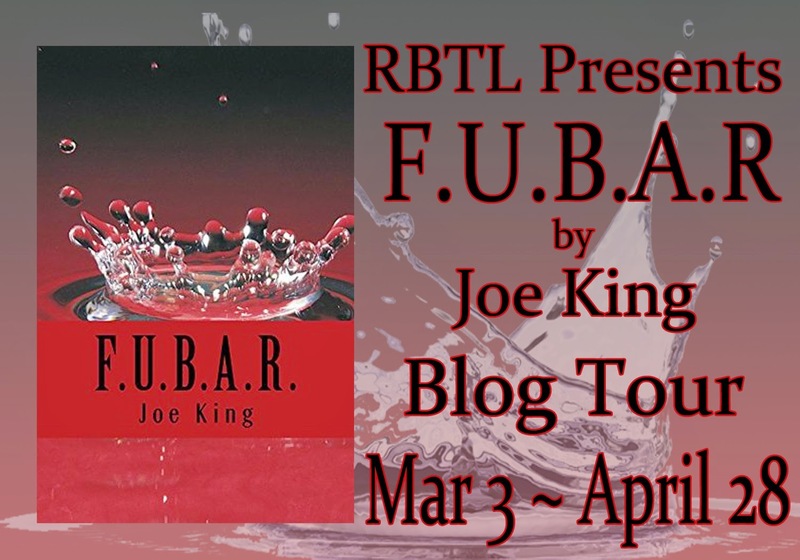 An aimless, down on his luck man discovers a clandestine government agency tasked with combating supernatural evil, beneath the grounds of a mental health hospital where he works; the agency, the Frontline Unified Battalion of Arcane Resistance (F.U.B.A.R.). Getting recruited for their cause, he is accidentally afflicted with a curse, casting the sensible ego aspect of his personality into a subconscious prison, allowing his psychotic id to take over his body. Now this madman must lead a motley crew of supernatural agents, including a punk rock witch, a werewolf, a medium and the ghost of his best friend, and a female Japanese ninja, against a globe spanning, world devouring evil, whilst dealing with the monsters inside his head. 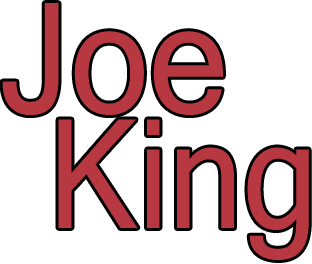 Joe King woke up one day, unsure of where he came from or where he was going. To this day he blindly stumbles through life hoping everything will turn out okay. At some point, he worked as a janitor in a mental health hospital, where he discovered an obscene amount, emphasise obscene, of hair on the carpet of one of the counselling rooms. Naturally, he became convinced that the patient must have been a werewolf, there is simply no other explanation. 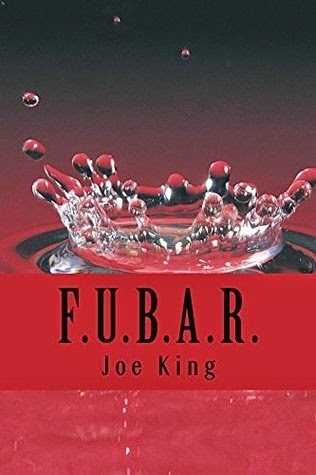 Not having any silver or dog collars to hand he decided to knock the idea around which snowballed into F.U.B.A.R., his first novel and the first instalment of the series. When he's not writing, he enjoys reading books and comic books, begrudgingly trying to emulate the fine work of the talented comic book artists, loathing himself, slapping the bass in a rock band, loathing himself a bit more and playing guitar. Bearing witness to the Herald with their own eyes was like a punch to the stomach to each of them; it was as magnificent as it was loathsome in its unrestrained raw power. Its torso rippled with grey fleshed sinewy muscle. Both arms were wiry and far too long for its body, yet capable of incomprehensible strength, both wrists ending in huge bony, three clawed talons. The beast had no legs, but rolled along on some kind of organic, armoured sphere of flesh. The wind whipped grit and ash into the eyes of Whiskey team as they squinted at the demonic invader amidst the towering columns of smoke. ‘Put us down on top of King’s Court Mall’ Dave ordered, turning back to yell at the pilots. Clyde double checked his equipment as the Osprey gently began its descent, which was when something re-occurred to him. ‘You realize you’re not wearing pants friend?’ he asked Dave, who stood confidently in his bowling shoes, heart shaped boxers, fingerless gloves, white shirt and black tie, trench coat and fedora. ‘I ain’t got time for pants’ Dave rumbled in a macho growl. The noise of the aircraft hadn’t gone unnoticed. ‘You got time to duck?’ Clyde asked, eyes terror stricken as a crushed up motorcycle hurtled end over end towards the open door of the Osprey. The aircraft banked left sharply, avoiding the motorbike by meters. The tilt threw the team into a jumbled heap of limbs against the side of the cargo bay. ‘Uh, get off me dude’ Clyde mumbled through the furry bulk of Rufus’s shoulder. ‘Sorry’ Rufus offered as Clyde spat a gob of fur out of his mouth. The Osprey righted itself and Lizzy turned back to the open door. Dave had a bayonet clamped between his teeth and was strapping on a parachute, ‘You guys stick to the plan’ he mumbled around the steel. The Osprey continued its vertical descent as the team shook their heads in bewilderment, watching Dave brandish his knife around excitedly before throwing himself out the back of the aircraft, his war cry of ‘CHUCK NORRIS!’ ringing in their ears. ‘Lizzy, I know we have all discussed this at great length, but you really dropped the ball when you tried to bring him back from the dead’ Kev said mystified. ‘Tell me about it. The guy’s a friggin’ menace’ Lizzy replied. ‘Seriously, why has he taken his pants off again?’ Kev asked. ‘And you didn’t feel like correcting him?’ Kev asked with a shake of his head. ‘I was curious where he was going with it’ he answered with a flash of white canines. Dave Reynolds, the clown faced, detective-clothed leader of FUBAR’s Whiskey team is an unashamed metalhead, both contemporary and the cheesy 1980’s.